Have you ever wanted to know how to use your camera at night to capture those exciting images you’ve seen? Beth Ruggiero-York teaches night photography and will show you just what needs to be done. The concepts and techniques for capturing all types of night images are explained and illustrated. From landscapes with star trails or stars as points, and moonlit landscapes to creative light painting and more, you will learn how to plan and realize your creative vision for long exposures after dark. Beth then goes on to introduce post-processing for night images. When you come home after shooting, you will be confident knowing how to optimize and manipulate your photographs. Color correction, noise reduction, sharpening and other essential adjustments in Lightroom and Adobe Camera Raw are discussed. 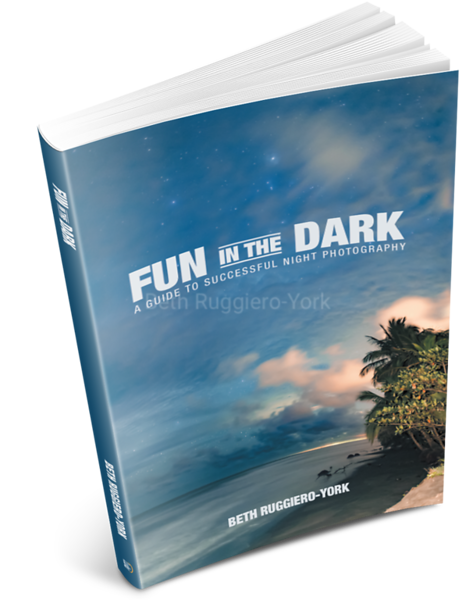 Beth Ruggiero-York delivers insights that will help novices and advanced photographers alike in this guidebook that celebrates the beauty of taking pictures in the dark. Everglades National Park is a land of subtleties. This river of grass does not have the magnificent vistas of the Grand Canyon or some of the other iconic parks. What this landscape lacks in grandiosity, it makes up for with its understated beauty and rarity like none other in North America. It is a land of endangered plants and animals, a land where alligators and crocodiles co-exist, breathtaking sunrises and sunsets, and birds beyond compare. 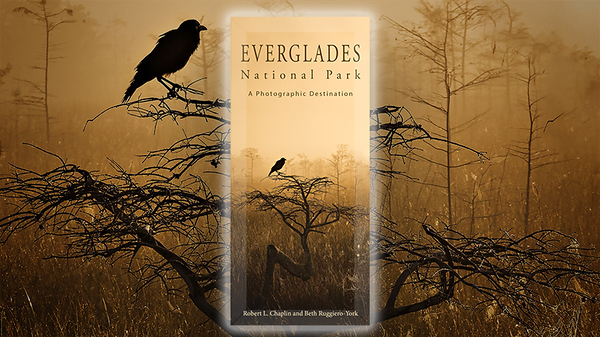 This guidebook is intended to show the visitor with a camera how to observe and photograph Everglades National Park. how to see what others do not, and how to experience this World Heritage Site that is visited by over a million people every year. Whether it is your first or fifth time, join us in the Everglades, and don't just see it, experience it.